The Kepco bipolar power (BOP) supplies in the 100W, 200W and 400W series are designed to accept a variety of internal digital interface cards. The BIT 802E plug-in card is similar to the BIT 4886 card, except that it provides control of a bipolar BOP power supply either through a web page using a browser, or by using SCPI commands via Telnet. The BIT 802E card acts as an interface between the digital data bus and the BOP, accepting the digital input data and converting it to an analog signal, which in turn, controls the BOP output. The BIT 802E is fully compliant with the SCPI programming language. Field upgrade can provide ethernet control to previously installed BOPs. See detailed specifications for the BIT 802E card. Talk-listen support for the IEEE 488.2 bus using SCPI is afforded by the BIT 4886 plug-in card which is 16-bit with resolution of 1/216. The BIT 4886 card allows a BOP to communicate as a stand-alone instrument, directly on the GPIB. 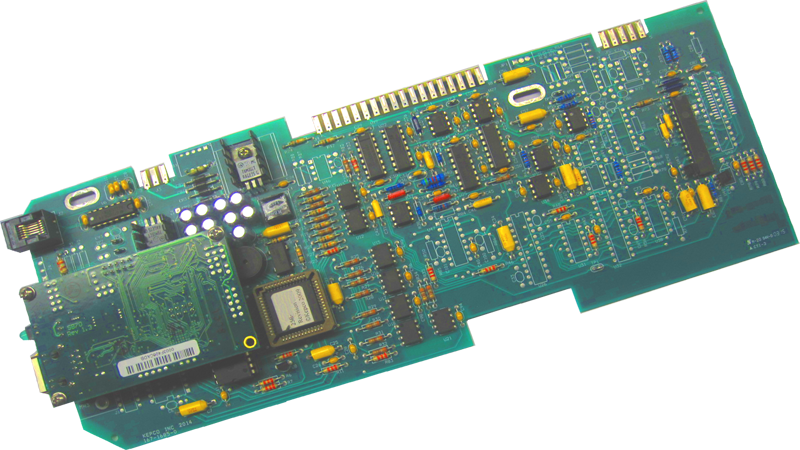 BIT 4886 card also allows the BOP to be be programmed over the RS232C bus using either SCPI or CIIL commands via either an RS232-C terminal, or from a PC using a terminal emulation program with a baud rate of 9600, no parity, eight data bits and one stop bit. The downloadable BIT 4886 driver supports digital calibration (no manual pots) and multiple control and read back ranges which are incorporated in the BIT 4886 Interface Card. The BIT 4886 Card is compatible with National Instruments standard 488-HS. See detailed specifications for the BIT 4886 card. NOTE: The BIT 232 is no longer available; it is replaced by BIT 4886 which includes RS 232 capability. These cards are listen-only ASCII cards that receive instructions on the IEEE 488 bus in either Hexadecimal (B-series) or BCD (D-series). Three digit resolution (12- bits) is offered for the principal control and 2 digit (8-bits) for the limit control. To specify as a factory-installed option append suffix -488B or -488D or order for field installation as models BIT 488B or BIT 488D. BIT cards are CE Marked per the LVD, EMC and RoHS 2 Directives. See applicable Declaration of Conformity.